This year's jury performed an admirable task judging no less than 285 entries. As usual, the majority of labels was entered in category A1: wines, followed by A2: alcoholic drinks. The judges scrutinized all the labels over a period of 4 days and selected 28 winners and 90 highly commended. The names of the winners will be disclosed at the official awards ceremony, 5 June in Copenhagen, on the occasion of FINAT's annual forum. The full report will be available on our website shortly after the ELF. 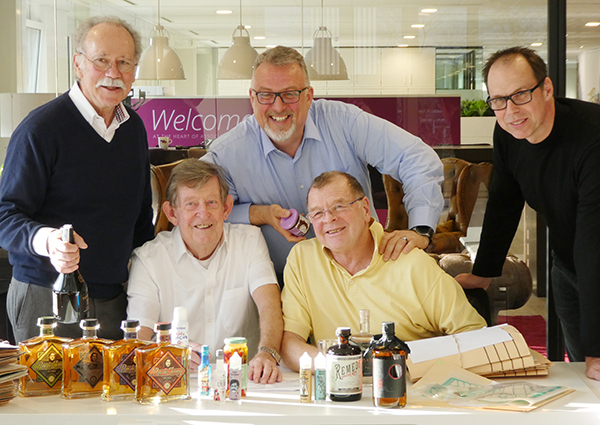 Picture from left to right: Noel Mitchell, Tony White (Chairman), Murat Sipahioglu, Steve Wood and guest judge Steven de Cleen from PROUDdesign.